Am pretty sure many of you especially the android and pc users are already rocking the Mtn Unlimited free browsing. And for those who aren't, you are really missing a lot. If you are still on etisalat magic ip, you might want to give that a break and try this Mtn tweak out. It doesn't require searching for Ips, it doesn't disconnect frequently and it also connects faster than the etisalat magic ip tweak. I recently posted something on this tweak for Android and PC users, so if you are new and want to learn how to use this tweak with simple server, psiphon or http injector then you can check this LINK. And if you happen to be an iPhone, IPad, android or PC user then you can learn how to rock this tweak with Open VPN App by following the setup below. Before you get started I will advice you to first download the config files below. Config file 1: Download HERE. Config file 2: Download HERE. Config file 3: Download HERE. Config file 4: Download HERE. Config file 5: Download HERE. ==> Also download the config file from the links provided above . 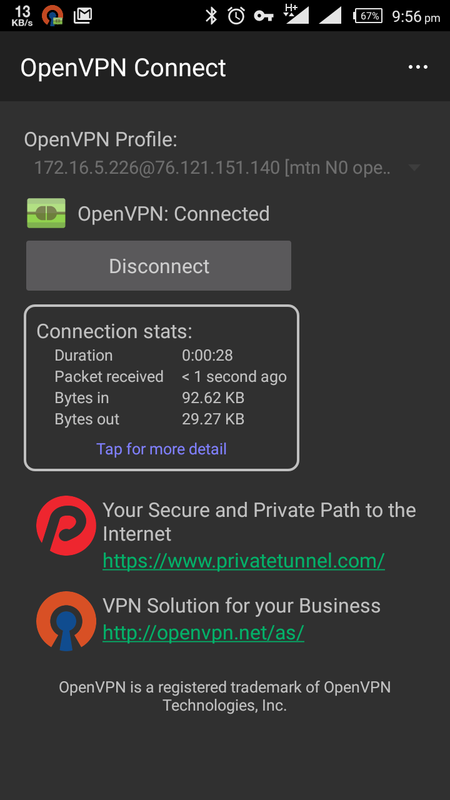 ==> Download and install OpenVPN connect app on your android device. You can either download from playstore or from HERE. ==> Download the config file from the links provided above. ==> launch the Open VPN application, import the configuration file and click on connect. 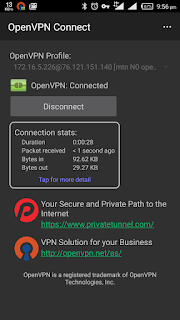 ==> Download OpenVPN for your PC windows 32bit users should download from HERE and or windows 64bit should download from HERE. ==> Also Download and Install Tap windows 9.21.1 to support your OpenVPN app. ==> Open My computer (This PC), go to your local drive >> program files >> OpenVPN folder. ==> Open the OpenVPN folder and search for “config” folder. ==> copy the config files you downloaded above and paste it inside the config folder. ==> Go back to your desktop and launch OpenVPN. ==> Now right click on the Open VPN icon at the right hand side of your task bar. ==> After that, just go back and connect. It's as simple as that. If you have any difficulty connecting or you are not so clear with the explanations above, then drop your question in the comment box below and I will try to respond as quick as I can. And also all those interested in the WhatsApp group can drop their no below.